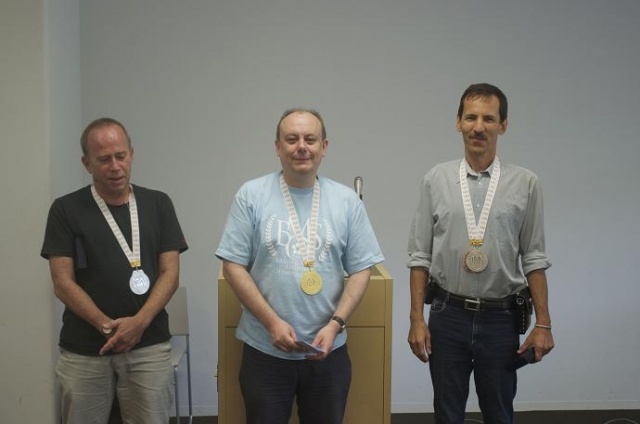 3rd WCSC Yokohama 2013, From August 12, to August 18, 2013, Keio University Kyōsei-kan, the Collaboration Complex  , Yokohama, Japan, in conjunction with the WCCC 2013, the 8th International Computers and Games Conference and the 17th Computer Olympiad. Double round robin, all moves 45 minutes plus an increment of 15 seconds per move . All programs payed on an i7-3740 Laptop, 2.7Ghz with 16GiB RAM . HIARCS by Mark Uniacke, operated by Harvey Williamson, defended its title in a last round decision and a draw versus Junior. Pandix by Gyula Horváth started a great pursuit with 4½/5 in the second half, for a Silver medal shared with Junior. 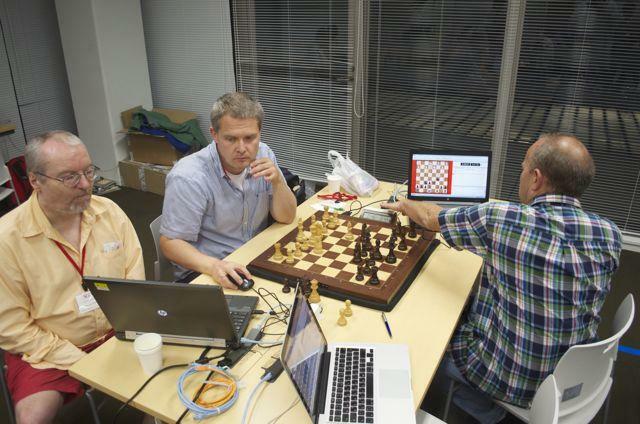 3rd World Chess Software Championship 2013, Yokohama, JP  , Uniform hardware: Intel 4 cores. The game Pandix – Merlin started with a psychological move 1. A4. Black replied in the normal mode but had to play without opening book. The game continued as reversed Ruy Lopez. White clearly had some difficulties and although black’s play was strong it was not convincing. Despite its first move which weakened the queen side black could not keep the advantage on the table. Slowly white came into the game and turned the tables. 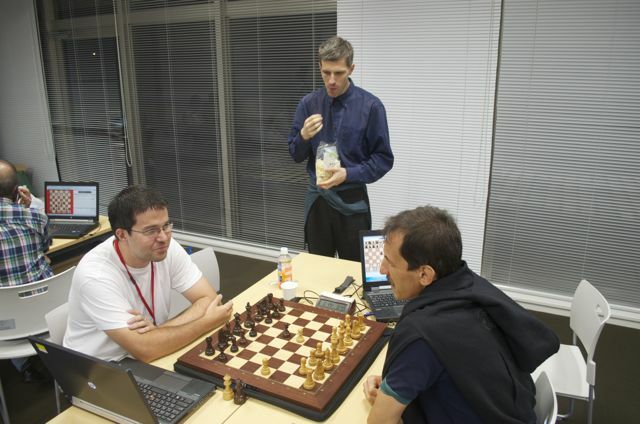 From that moment onwards the white player continued to expand space, initiatives and threats. For black there was no opportunity to stop the stream of ideas and threats which came to him. Finally he lost by an elementary regrouping of pieces. They have met each other many times, Shredder and Junior. They have both been world champion with currently Junior holding the WCCC title. Their contests are always interesting. The current game does not form an exception. A quiet but still complex French start of the game resulted in black attempting to take the initiative. Shredder replied cautiously but black continued with challenging moves. The result was complex position even though the queens had already left the board. On the square millimeter the fight continued. Junior played quite inventively and succeeded to widen its initiative to pressure on the white position. Even with a few pawns and only a rook and a minor piece there were huge complications. Black was able to complete the series of pressure moves by a nice bishop sacrifice which could not be accepted by white. Declining the offer did not get any relief and after five more strong moves white resigned. This page was last edited on 30 June 2018, at 06:22.